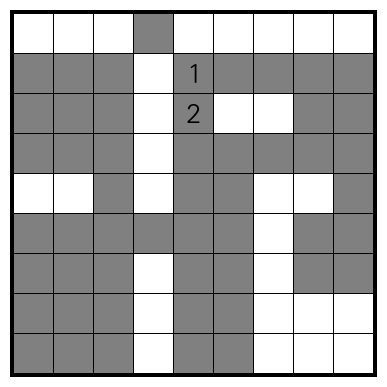 This is a Starwars puzzle, another of the types on the GP. Inspired by a certain puzzle on the portal. 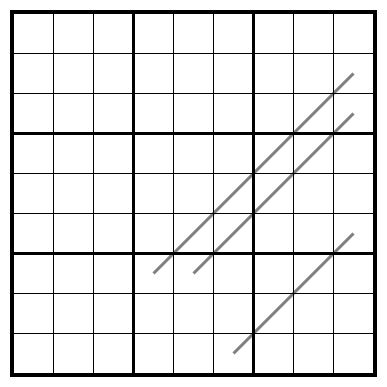 Rules Place stars in some cells, such that cells with stars don’t touch, not even diagonally, and such that each row, column, area and line has exactly two stars. This entry was posted in Puzzles and tagged practice, star battle, starwars, variant on 2015-04-07 by rob. 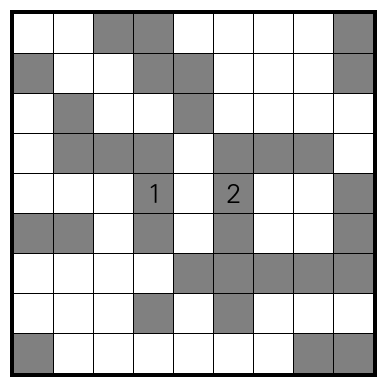 Here are two neighbors puzzles, a type which features on next weekend’s Dutch round of the WPF Puzzle GP. This time there is plenty of practice material, see Richard’s comment on the GP forum. I made the second one first, but it appears I broke or imagined some of the logic. It does seem to have turned out unique. Usually I wouldn’t post it, but maybe it’s good practice for dealing with an impenetrable puzzle? If you find a nice way through, do let me know. 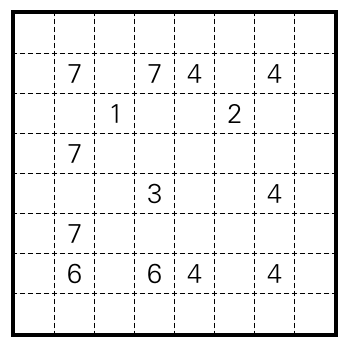 Rules Place a digit between 1 and 3 in every cell, such that each row and column contains exactly three copies of each. 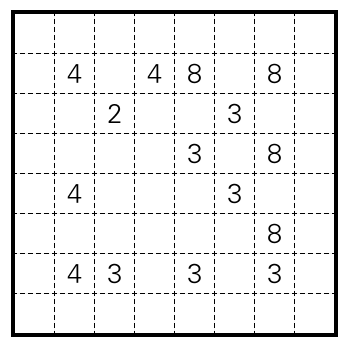 A cell is shaded if and only if the digit that it contains is different from all orthogonally adjacent digits. This entry was posted in Puzzles and tagged neighbors, practice on 2015-04-06 by rob.